New research reveals that C-level executives feel good data protection efforts support organizational goals such as compliance, reputation, management or customer trust, but there is a lack of confidence in the ability to safeguard sensitive information. 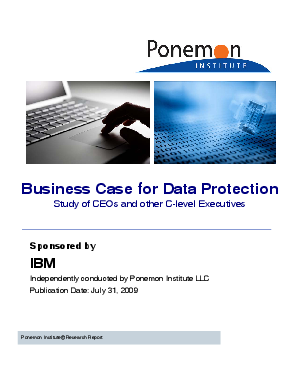 Using research about data protection independently collected by the Ponemon Institute, sponsored by Ounce Labs, an IBM Company, this paper reveals the value of data protection. This study is at the forefront of helping to determine what senior executives think about the value proposition of corporate data protection efforts within their organizations.